44 Homeopathic medicines of common use in one dram vial. This Kit contains 20 homoepathic medicines which can treat more than 30common health problems of all age groups, such as cold, cough, diarrhoea, constipation, Acidity, Indigestion, injuries, muscular pain, nausea, vomiting, gastric problems and more. There is a oral homeopathic medicine. Three months basic course and than after 3 months advance course. Result is too good. For Result to see testimonial of height in our website. 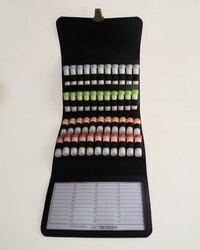 A comprehensive Homeopathic Kits for those who want to gain more knowledge about homeopathy.The Homeopathic medicines are supplied in a wooden box /Leather bag with a free book which contains full instructions on homeopathic medicines for the use of large number of common diseases, acute and chronic illnesses. · Single or Double digestion can be performed as two different types of Restriction enzymes are provided. · Easy determination of Molecular weight of the digested DNA fragments with provided marker. Riding on unfathomable volumes of industrial expertise, we are providing a broad array of Travel Kit. For Constipation:A non habit forming formulation for Constipation of various disorders. 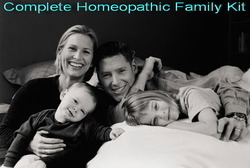 We are engaged in wholesaling Homeopathic Medicine Kit along with a user guide. The kit contain all emergency and common medicines, which can be used as a first aid. The quantity of medicines rely on user and they can include or exclude the same as per their specifications. These cost effective products are known for their effective results. - For Eczema & Rashes: For rashes, itching eruptions, dry, rough and scaly skin.